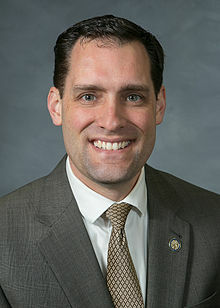 WRAL put up an article over the weekend about NC General Assembly Dem Rep. Graig Meyer teaming up with the Future Now Fund. It’s a very vanilla article and per usual, the incurious WRAL left out a key fact. Future Now Fund has direct ties to Hillary Clinton’s former lawyer, Marc Elias, and the funder of the dodgy dossier, Fusion GPS. It is quite clear from the website that this group seeks to elect progressive Democrats who promote a progressive, left-leaning agenda. The address at the bottom of the website for Future Fund Now is 700 13th Street, NW Suite 600, Washington, D.C. 20005-3960. That’s the same address as Perkins Coie, the law firm of Marc Elias that hired and handled the Trump dossier payments for Fusion GPS. Future Fund Now not a 501(c)3. Donations made to them are “not tax deductible.” Draw your own conclusions on where the money one gives to this outfit is actually going. 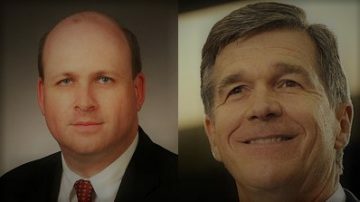 Reminder: Marc Elias and Perkins Coie also were the lawyers for Roy Cooper in 2016. Elias is also behind the attacks on NC Voter ID and his firm, with Soros funding, has had their legal hands on NC in a variety of other ways. This entry was posted in LL1885, NC Dems, NCGA, POLITICS NC and tagged Future Now Fund, Graig Meyer, Marc Elias. Bookmark the permalink.